3 appliances that can become fire hazards - HMS National, Inc.
One of your many tasks as a homeowner is ensuring proper maintenance of major home appliances and systems. Machines like your stove, refrigerator and dishwasher undergo a lot of wear and tear and are bound to break down if you aren't regularly cleaning them and checking for signs of system malfunctions. Even worse, failing to maintain these appliances can lead to fires, the most common home safety hazard. Here's how to take care of these appliances that are often the most frequent cause of home fires. U.K. product and services review company "Which?" reported that washing machines are responsible for the highest number of home appliance-related fires. This is compared to all appliances found in homes. 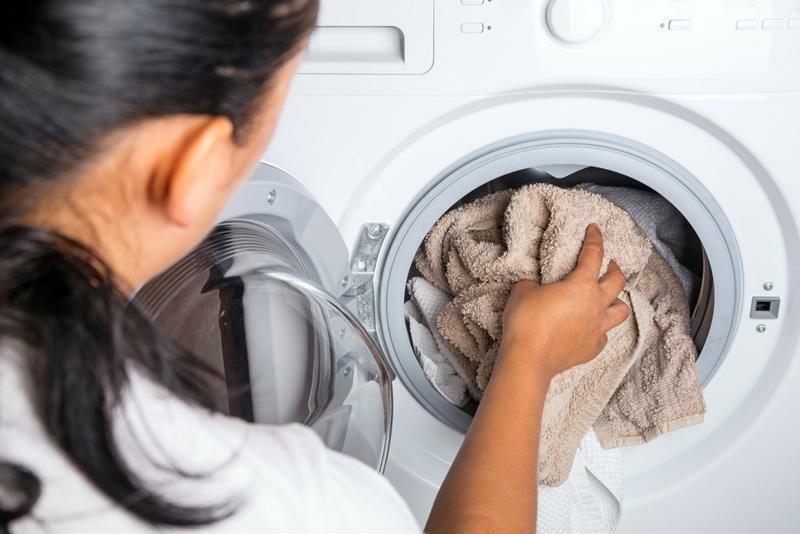 The good news is that by properly maintaining your washer, you can drastically reduce the risk that it starts a fire or breaks down. Before you put a new load of laundry into your machine, make sure you're using the right detergent. According to HouseLogic, pre-meausured soap pods have grown in popularity, but can eventually cause damage to your appliance. Every month or so, check the hoses, as after a lot of wear and tear, they can begin to crack and leak. If they were to burst, this could result in major flooding and even fires, which occur when the water mixes with electricity. With a vinegar and water solution, wipe clean the rubber gaskets of your washer to promote air circulation and avoid the build up of mildew and mold. Cross these tasks off your maintenance checklist every time you do a load of laundry. Tumble dryers are another leading cause of home fires. This Old House magazine explained that, according to the most recent data available, dryers have caused over 14,600 fires in the U.S. since they became popular household items. One of the maintenance issues that triggers this is a clogged lint filter. After every cycle, you should remove any lint buildup in the filter. Every three months, wash the dryer lint filter with detergent. This will get rid of chemical residues that inhibit proper airflow. However, keep in mind that lint can also collect in the exhaust pipe, so it's best to disconnect the pipe and use a vent brush or vacuum to eliminate any lint that's trapped inside. Also keep an eye out for obstructions, crimps and bends on the duct that aren't supposed to be there. Just as you should do for your washer, reduce risk of mold and mildew by towel-drying the drum and the rubber gasket. Leave the door open until everything is completely dry. "Give your machine a good cleaning every six months." In addition to washers and dryers, dishwashers also cause more fires than ovens, stoves and other widely used home appliances. To mitigate the risk of fires, give your machine a good cleaning every six months. According to Handyman magazine, you can either use a dishwasher cleaning product or a cup of white vinegar, unless your manufacturer says not to. Run a wash cycle. Then wipe down the door edges and seal to ensure your dishwasher is securely closing and locking when it's in use. Reduce the amount of food and mineral deposits blocking your dishwasher's spray holes by removing the dish racks and unscrewing the spray tower or hubcap. Using something small like a paperclip, clean out the holes and scrub with white vinegar. If you notice food buildup in your filter, wash it under water and clean it with dishwashing soap. This may need to be done as often as once every week. While properly maintaining your appliances can drastically lower the chances that they'll break down or cause fires, daily wear and tear can still result in unexpected malfunctions. If you notice something is amiss with one of your appliances, you'll be happy you have your home warranty from HMS. You can rest assured that a qualified technician will be sent over to fix your appliance when it breaks down before the issue leads to a safety hazard.